When you clean professionally, you need to make sure that you are working with chemicals that are strong and reliable enough to thoroughly clean and disinfect public areas. Even if you do not clean professionally, you deserve to have high-quality cleaning products in your home, especially if you have children. Every homeowner and professional cleaner should have the following affordable cleaning supplies readily available: air fresheners, toilet bowl cleaners, disinfectant products, kitchen cleaning products, carpet shampoo, hand soap and laundry detergent. Whether you are disinfecting your home after a bout of the stomach flu or you need cleaning supplies in Sydney that are capable of cleaning the ring in your toilet bowl, it is important to make sure your cupboards are stocked with reliable and affordable cleaning supplies. When you are shopping for air fresheners, look for aerosol sprays that are highly effective at distributing scent evenly throughout the room. Remember that industrial-grade aerosol sprays are highly effective and should be used sparingly, unlike lesser-quality air fresheners that can be found in most grocery stores. Toilets can be incredibly difficult to clean, especially if they develop the dreaded ring that is almost impossible to remove. If you are looking for industrial or household affordable cleaning supplies that are capable of making your toilet brilliantly white, try purchasing high-quality toilet whitening products in bulk. When you purchase in bulk, you can save money and you will not need to worry about running out of product after just a few uses. Disinfectant products are essential for public areas or for getting rid of harmful germs in the home. Purchase a hospital-grade disinfectant to ensure that you are thoroughly removing germs from various surfaces. The kitchen is one area of your home that gets dirty and germy very quickly. In order to keep your kitchen or other food preparation area safe and sanitary, make sure you purchase food-grade surface sanitizers as well as effective dishwashing detergent that will make your dishes look spotless. If you regularly work with greasy foods, you should also purchase affordable cleaning supplies that are strong enough to remove built-up grease. If you have pets or children, then you know how quickly carpets can become soiled and filthy, especially in stormy weather. Clean any high-traffic area with a carpet shampoo that does not leave a greasy residue behind. It is also nice to purchase a carpet shampoo that has a nice, fresh scent and will make any room smell pleasant and inviting. If you clean and stock public washrooms, you should always keep them well-stocked with affordable cleaning supplies, including antibacterial hand wash that is not too drying. It is also important to find a hand soap that has a pleasant scent and can be easily lathered. You may also want to stock public washrooms with hand sanitizer for individuals who find hand soap to be too drying on their hands. Many people are very particular about their laundry, especially if they have their laundry done at a hotel or by a professional launder. Keep guests happy by purchasing laundry detergent that protects the integrity of clothing colors and does not contribute to fading. You may also want to have bleach on-hand with your affordable cleaning supplies to make whites look even more brilliant and clean. Do not forget to purchase fabric softener that will help remove static cling from clothing and make various types of fabric feel smooth and soft. Although it is extremely important to have reliable cleaning chemicals, it is equally important to have other affordable cleaning supplies that will help you clean more thoroughly and effectively. 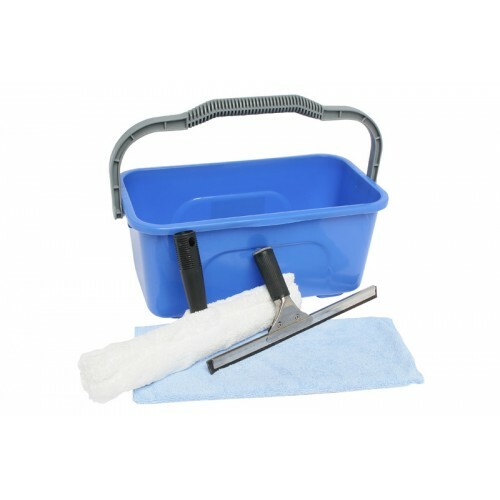 Here are a few cleaning supplies in Melbourne that will help make your life easier: buckets (for mixing water with cleaners), mops, window cleaning supplies (such as spray bottles and rags), carts and janitor trolleys designed to carry all of your cleaning supplies. Cleaning supplies can get heavy, especially if you are cleaning a commercial building. Having the right industrial cleaning supplies can make your life much easier and can help you to do your job more quickly and efficiently. If you are looking for a janitor trolley or cart, try to find one that has plenty of space for your various affordable cleaning supplies, including a hamper for trash or laundry and shelving for your cleaning chemicals and accessories. You may also want to find a cart that has a hook for a broom and dustpan so that you can conveniently clean up any debris off the floor that you may have missed with your vacuum. When it comes to vacuums, you generally get what you pay for. Some of the most inexpensive vacuums are barely capable of picking up bits of paper, while more expensive models are generally more reliable and thorough. If you are on a budget, it is possible to find an affordable, high-quality vacuum cleaner if you purchase it online from a wholesaler. You can generally find affordable vacuums at the same online store where you purchase your affordable cleaning supplies. Whenever you are working with harsh chemicals and other cleaning products, you should always wear a pair of high-quality cleaning gloves. The ideal cleaning gloves should be fairly thick but still flexible enough for you to move freely while wearing them. If you follow this helpful cleaning products guide, you will have an easier time choosing the right industrial and household cleaning products for your needs.